The perfect Good Luck gift to give to every Mum To Be to use during her labour. 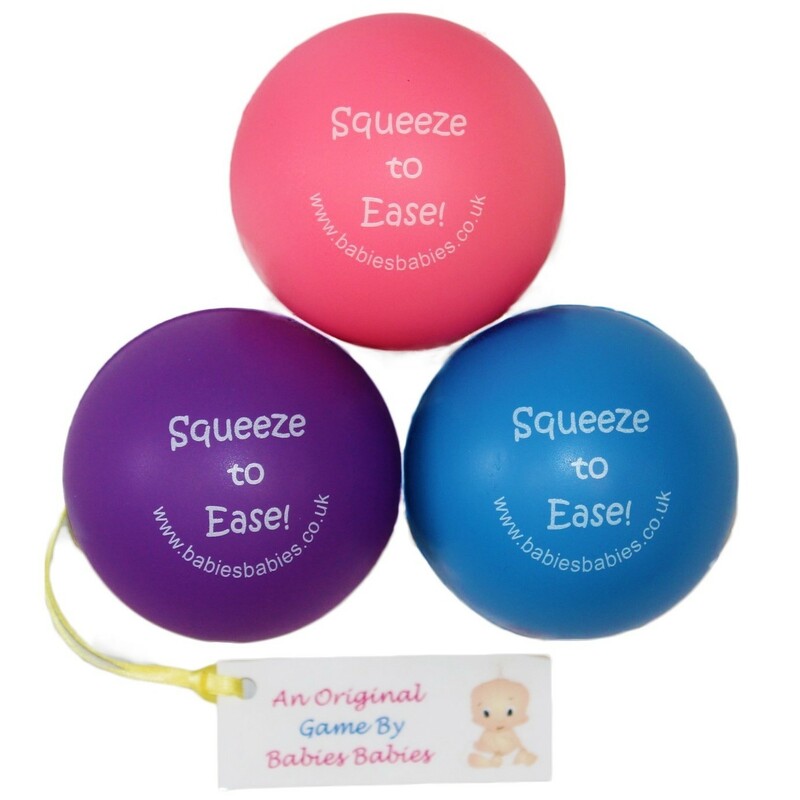 Ideal for her to squeeze during labour or to throw at her partner!! Wrapped in cellophane and tied with a ribbon. Now available in 3 colours PINK, BLUE and PURPLE. Bought by Pippa Middleton - a gift for Kate perhaps? This is such a novel baby shower gift that will be sure to raise a smile on Mum's face. 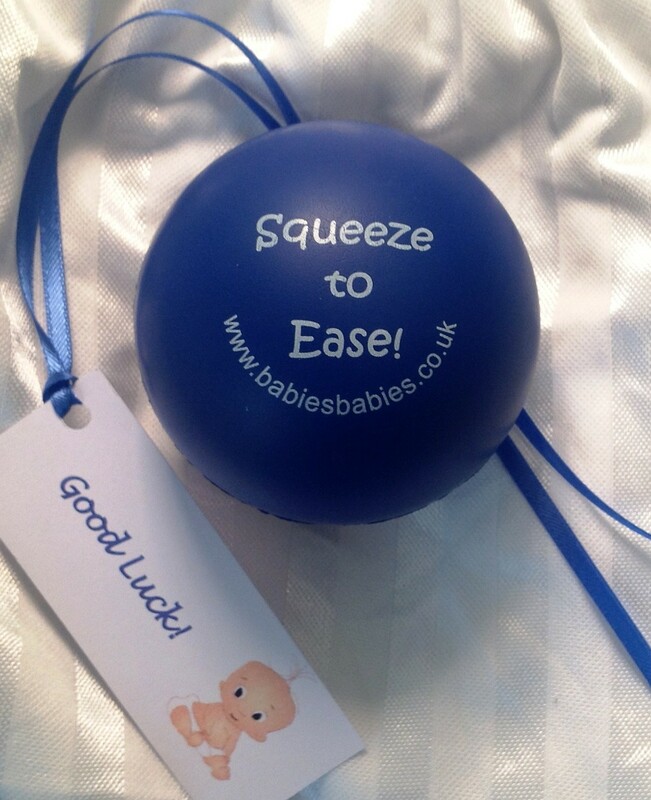 Ideal for her to squeeze during labour or to throw at her partner!! 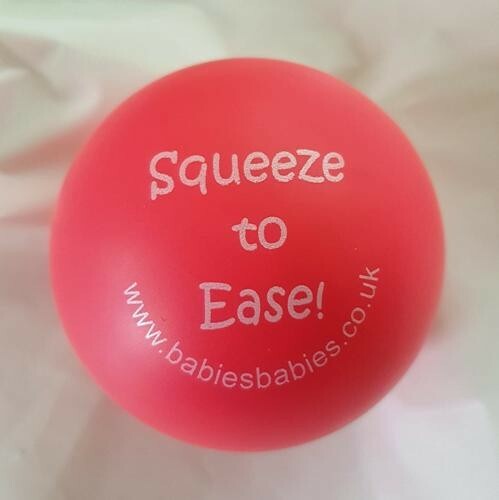 We will send your labour stress ball wrapped in cellophane and tied with satin ribbon & label saying GOOD LUCK, or with a personalised message; example Good Luck Susie! A lovely item now ready to give as a unique gift that looks fab. Please select the colour option and enter Mum's name or the message you would like on the label into the text box above. A must have & essential item for Mum's labour bag! This is the perfect novel gift to give at a Baby Shower party, to a colleague as she goes onto maternity leave or simply to give to a friend when she announces her news that she is pregnant!